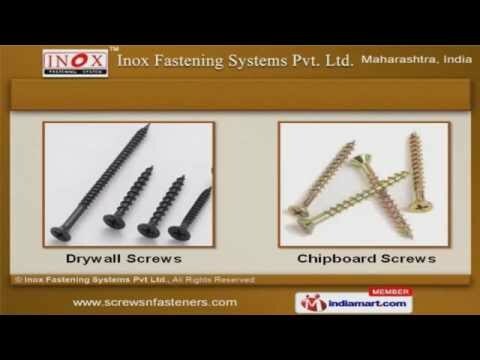 Welcome to Inox Fastening Systems Pvt LtdExporter & Trader of Drilling Screws & Metal AnchorsThe company was established in 2011 at Mumbai. We serve to automobile & heavy machinery industryacross Africa, America & East Asia. Timely delivery, Global quality standards, Prompt & ethical transactions are some of the key features ofour organization. We are engaged in offering premium grade Self Drilling Screws & Anchor Fasteners. Our Drywall & Chipboard Screws are manufactured using premium grade raw materials. Self Tapping Screws & Blind Rivets are some of our best selling products. Along with that we provide washers & Bolts at market leading prices. We also offer Nuts & Machine Screws that are a class apart. Our Nylon & Window frame fixing are widely acclaimed in the market.